Away from the honeymooners & ‘first timers’, this is a Kerala of virgin backwaters, where the only boats you ever see are fishing boats, owned by residents of the sleepy villages quietly nestled on its palm-fringed shores. This is a Kerala of blissfully isolated white sand beaches, with no beachside shacks and no sunbathing fellow travellers. This is a Kerala of mist adorned tropical forests, where wild elephants can be effortlessly spotted as you drive along the main highway. 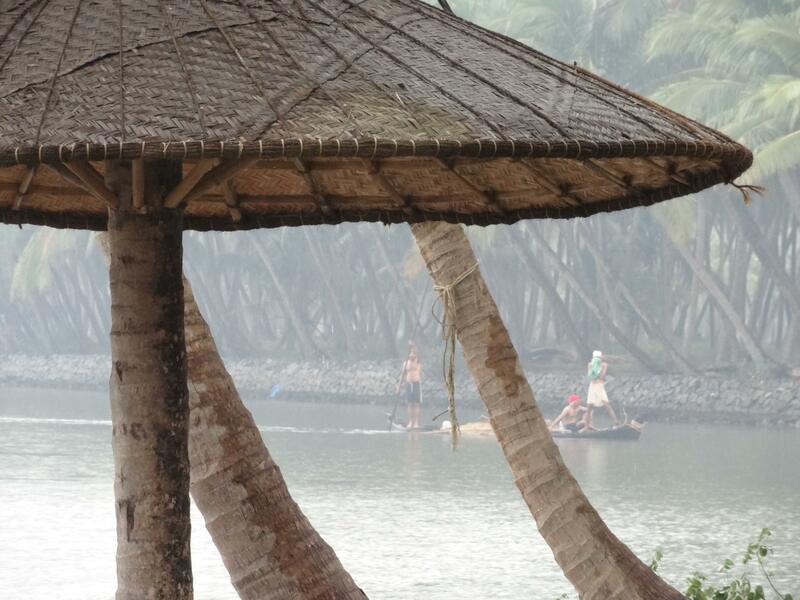 On the confluence of the backwaters and the Arabian Sea, across a sandy beach, lies the sleepy hamlet of Thottada. 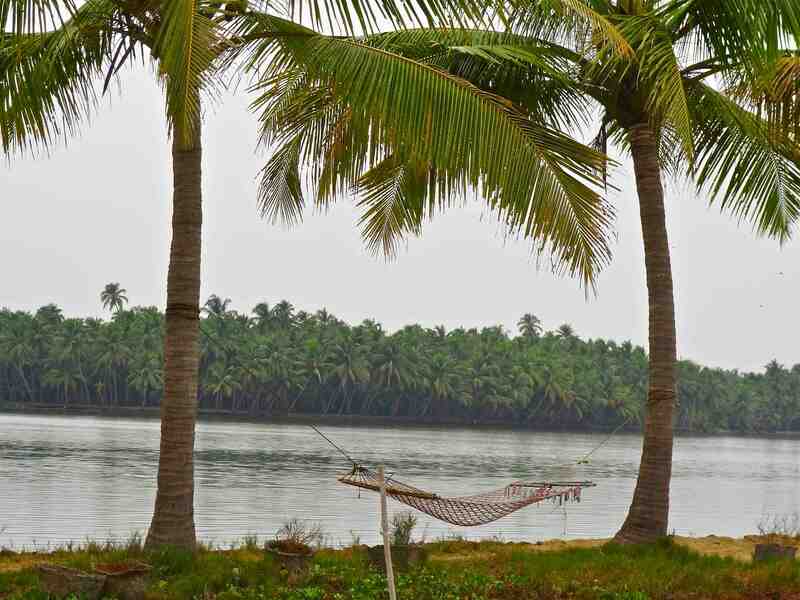 On one side, a narrow stretch of backwaters meanders in the shade of tall coconut trees, and on the other, the waves of the Arabian Sea caress the golden sands of the Thottada beach. 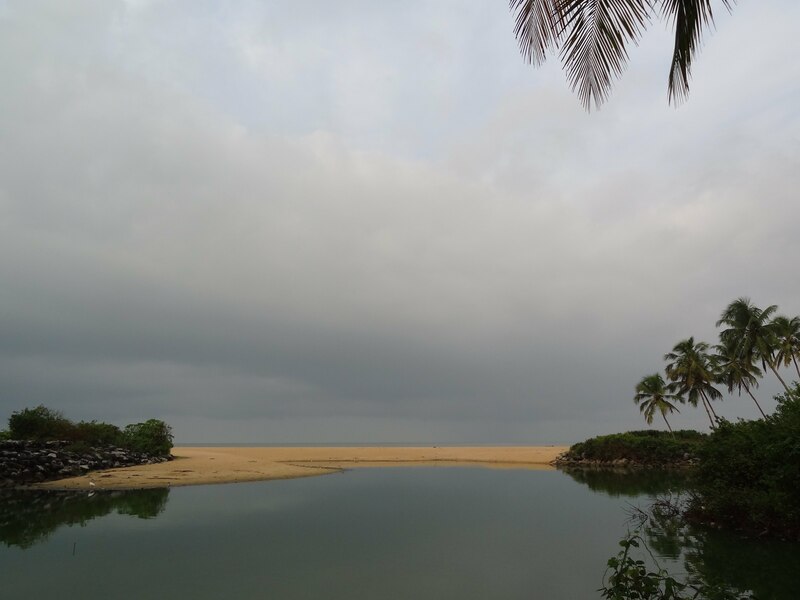 One minute, you could be spotting otters, darters, terns & kingfishers along a backwater lagoon, the other you could be strolling barefoot on the beach & playing in the waves; such is the pace of life in this tiny corner of Kannur, reached through a narrow python road from the main town. The backwaters meet the sea across a sandy beach. The monsoon rains awaken Thottada from its slumber, whipping the backwaters & the sea in full flow, and after, transforming the village with soulful festivities. The Theyyam dance festival has acquired a cult status in the region with traditions dating back a thousand years, and is a colourful melange of ethnic costumes, face paintings, antique weapons, gaudy masks, folk music, ancient rituals and theatrical art, best experienced in traditional village homes. In the backdrop of the majestic Western Ghats, colourful deciduous & semi-evergreen forests are interspersed with plantations of coffee, rubber, banana, coconut & jackfruit, and sprinkled with rice paddies & lush tea estates. It is here that clouds descend into the wilderness, herds of wild elephants freely roam on roadside pavements, traditional tribal folk live along the edges of the jungle in houses made of bamboo & cow dung, the big cat does not elude you on a trek through the core zone of the forest, and tiny fresh water islands are strewn along the length of the district for an anytime dip. The backdrop of the Western Ghaats in Wayanad. When monsoons paint the towns a chirpy green and the smell of wet earth diffuses through the air, Wayanad invites you to go out, get wet and reminisce your childhood with mud football, rain dancing and rain kabadi in the aptly named Splash Carnival. Stay at: Bamboo Village, Wayanad. On the northernmost shores of Kerala, along the most virgin stretch of its backwaters, lies a little piece of paradise called Thekkekadu. This, one of the few private islands on the backwaters, is nature’s most indulgent way of discovering life on the coconut countryside of Kerala; sleepy villages hide away amid palm trees on the shores, occasional fishing boats emerge from the mist, and eagles soar in the skies above. This isn’t your houseboat-infiltrated lagoon, not many people speak languages other than Malayalam here, you won’t find yourself bargaining for a fresh catch of prawn here; this is the serendipity of those willing to get off the tourist trail. Soaking in the serenity of the backwaters. On a canoe or a boat, as you sail through the vast expanse of these backwaters, you may find the eureka moment of an early explorer; the coastline adorned by the Arabian Sea across the shores of the backwaters is blessed with white sand in many places, devoid of any signs of civilization. Wouldn’t it be pretty awesome to have a white sand beach all to yourself in a state with 10 million tourists? A virgin beach in North Kerala. This trail is now offered by India Untravelled: Best Kept Secrets of Kerala. Have you travelled in Kerala? What secret places have you discovered? For more travel stories, tips & inspiration, join The Shooting Star on Facebook & Twitter. Nice to see someone write about the less touristy shores of northern Kerala. I went to Telicherry (which has some lovely homestays) and Kannur several years ago. Ironically, I never managed to go to the backwaters! PS: Congrats for the Turkey trip!! Kerala is right at the top of my list of places to travel to. My sentiments exactly… I too had a similar experience which I had shared in my article http://www.raghupatri.in/the-unsung-mountain-destination-kerala/ . That’s great Raghu, I’m off to read your article, thanks for sharing it! I love North Kerala. Its so less-crowded. My wife and I spent our honeymoon in the beaches of Kannur and Kasargod. Totally worth it. Btw, would you happen to have the contact details of backwater tour operators? Thanks a bunch. I will certainly do this in the next few months. Travelled to Wayanad a year and 6 months back. The whole district is very serene and picturesque. Stayed in Kalpetta, Sultan Bathery and Vythiri. The tales of Pazhassi Raja are a must-learn over there – he’s a local legend. His tomb (a memorial park) is also there in Wayanad, near Manthanawady. Kabini river is pretty much the heart of the ghats of Wayanad. There’s a dam near Kalpetta, the river below which is very full if one goes there after the rainy season. The tea plantations on the route between Kalpetta and Meenmutty Falls are brilliant. The owners of the one we stopped to explore were very cooperative too! Hi Shivya, Please don’t miss out the great opportunity to visit Palakkad District in Kerala as this District is blessed with all kind of attractions except beach. Rock Garden, Ropeway, Malampuzha Garden, Hanging Bridge, Kava, Palakkad Fort, Jain temple, Thiruvalathur Temple, Chinmaya Mission Temple, Kalpathy Heritage Village, Nelliyampathy Hills, Kanjirapuzha, Silent Valley National Park, Parambikulam Wild Life, Siruvani Forest, Dhoni Forest, Meenvallam Waterfalls are few of the best attractions in Palakkad, which are much more better than other tourist attractions in Kerala. The only sad thing is Palakkad doesn’t have beach. Just try to visit there and enjoy tour travel a good , loving and memorable trip. Please don’t listen what others says to avoid Palakkad trip as there is a big lobby group plays in Kerala to discriminate Palakkad. You have to visit the destination to know more about the same. Then only you will get a clear picture about it. I’m from Kerala and happy to see Wayanad on the list. I believe it is the best place in the whole of Kerala to visit. Speaking of Kerala’s best kept secrets, Nelliyampathy in Palakkad district and Gavi in Pathanamthitta district could be ideal candidates. hey wait. Isnt thottada closer to thalassery? I just went to this beautiful secluded beach near thalassery, watched dolphins from the sea side and fisherman scouting for early morning catch of kallumakkayi (muscle). Or are you talking of a different beach all together? That was such a good morning I had, the manager of the resort I went to check out gave me some good chai, I chatted up a french national who gave me an opportunity to work with the world famous photographer George Rousse in bombay early next year, had breakfast at this stopover for some really soft porottas and idiappams with chicken stew, and of course the weather was awesome. 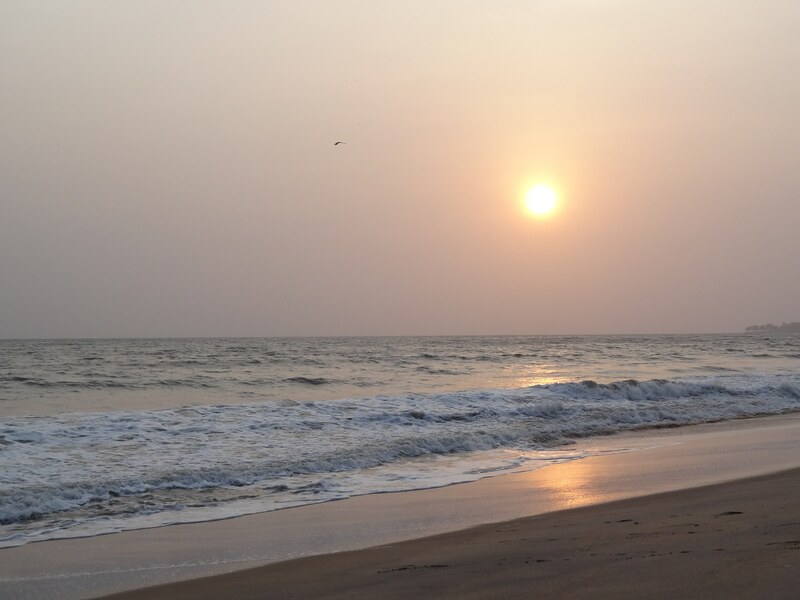 ‘Hey, would like to share my experience of my travel to Kannur. 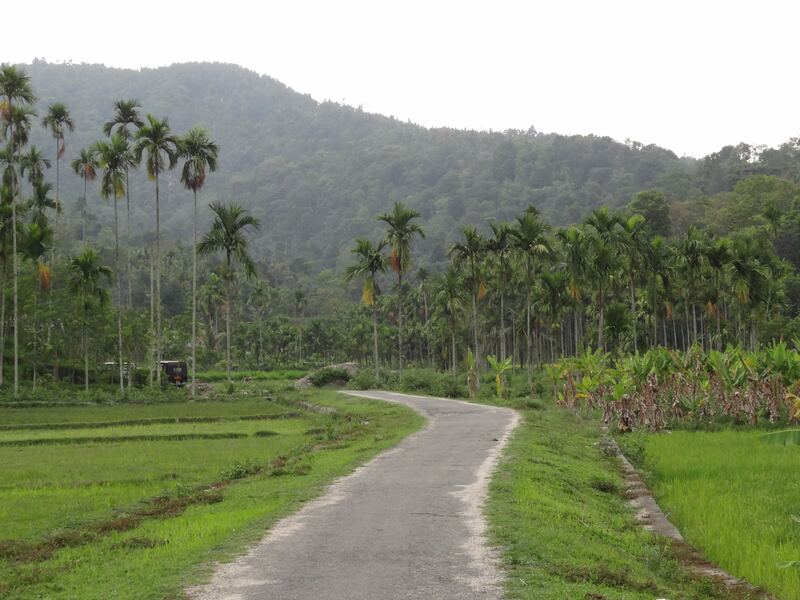 I decided to enjoy the scenic beauty of KERALA by visiting, Kannur and Wayanad. RingCab.com [ http://www.ringcab.com ] , helped me to realize my dream. They are reliable, amazing, too customer friendly, thought of sharing this useful info to my other fellow travelers. Worth giving a try to avail RingCab.com [http://www.ringcab.com ]’ transit facility ‘. I am going to Trivandrum for a friend’s wedding in December. And I hope that’s when I can strike off at least a few places you mentioned here. Interesting post. Will check out India Untravelled for stay options too. Bakel fort in Kasarkod, and Kannur’s Payyambalam Beach, Aralam Wild Life sancutary, Muzhappilangad drive-in Beach, Dharmadam Thuruth are some of the best places to visit in north Kerala. If you want to see the diversified worship of Malabaries visit Parassinikadavu Muthappan temple. Thankfully I’m from this place. very nice article about best places to visit in Kerala . hey have you ever visited Kerala? Set aside the crowd, Fort Kochi is a wonderful place. Though you need to show your bargaining skills a lot if you plan for shopping. It shows you have a real experience. Previous Post7 Quirky Things About Turkey. Next PostMost Memorable Travel Adventures + Travel Books Giveaway!